Every country has its own customs and laws that, to foreigners looking in, may seem crazy and bizarre. This is even more the case regarding countries that are relatively closed to the outside world. With little influence from other countries, the customs and laws of closed countries seem to be more bizarre than the norm. A prime example of this is North Korea. 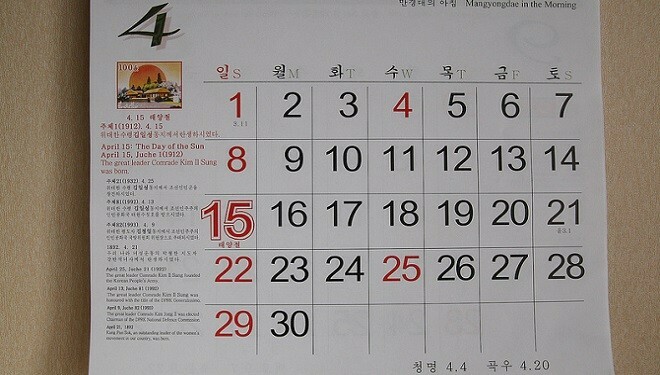 The North Koreans use a calendar known as the Juche Calendar. The calendar maintains the same days/months that we are all familiar with; however, the years are vastly different. The calendar is based on Kim Il Sung’s birth date of April 15, 1912; designating the year 1912 as year (or Juche) 1. Therefore, in North Korea is is not 2013, but instead it is 102. When writing the date in North Korea, the Georgian calendar is taken into consideration and the Georgian year is written after the Juche date: 08 December Juche 102 (2013). North Korea is one of the few countries that does not “develop” its nuclear weapons in total secrecy. This so-called strategy is two-fold for the North Koreans. One the one hand, these tests (whether they are fictitious or not) give the country the appearance of having nuclear capabilities. The second factor is that when the North Korean government announces such tests, some countries, such as Russia and China, bribe the country with money, food and other aide to convince them not to go through with it. Therefore, without even having a functioning nuclear weapon, the North Koreans use the ruse as a scare tactic and a way to obtain aide without seeming weak by asking for it. However, this is a dangerous ruse for North Korea because if a country is scared enough over the idea of North Korea going nuclear, it may just attack. On January 23, 1968, the USS Pueblo, a U.S. Navy research vessel was capture by North Korea. Actually, North Korea is the only country to capture a U.S. Naval vessel. Even though the vessel is still commissioned as a U.S. Naval Ship, the North Koreans use it as a museum where it has received an estimated 250,000 visitors. America and North Korea participate in occasional talks about the ship’s return, but the state of affairs between the two countries usually turns America’s attention elsewhere. Known as Songbun, this class system determines which North Korean citizens are afforded certain opportunities such as employment, education, housing and even food and clothing! This system was implemented by Kim Il Sung in the 1950s. The system is so complex that many North Koreans barely understand it themselves. According to Robert Collins, author of Marked for Life: Songbun, North Korea’s Social Classification System, that it boils down to most North Koreans believing “if I get into the [Worker’s] party I will be successful and my family will have a better life”. Not only is the country’s calendar based on his birth date, but it is estimated that there are more than 500 Kim Il Sung statues across the country. It is said that every North Korean household is required to have his picture on a dedicated wall of their home and that most North Koreans happily oblige. 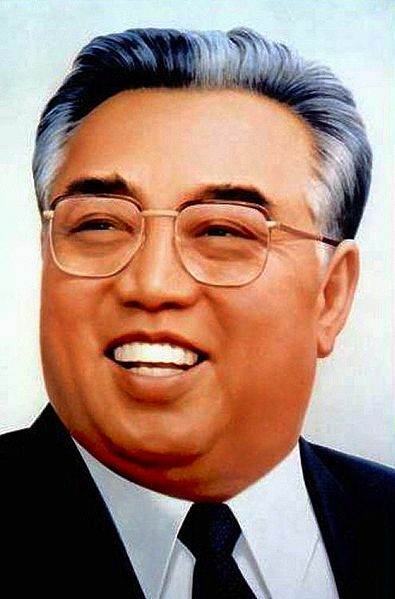 It has also been reported that many North Koreans believe Kim Il Sung created the world. Every country has their own laws and customs that seem weird, but some of the those coming out of North Korea may be viewed as especially bizarre. Have you visited North Korea or know additional details? Add your thoughts to the comments section below. 1. Cannabis is claimed by the North Korean government to be a healthier alternative to tobacco, so most North Koreans do cannabis. A lot of people talk about seeing it grow by roads. 3. If you fired the biggest missile/nuke/whatever they had at the Empire State Building, it wouldn’t even reach Central Park. 5. North Koreans think that Kim Jong-il’s fashion is popular everywhere in the world apart from the USA. Great post. thanks for reading!